Unexpected essences crushed & distilled, creating a remarkably uncommon sensory experience in the Tokyomilk Perfumarie. Shea Butter & oils melt away dryness in lush hydration. 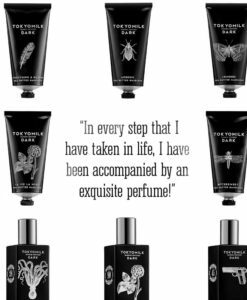 Not for the faint of heart, fragrances to pique your curiosity in the body lotion. Remarkably uncommon essences are infused into a smooth, luscious bee balm in the lip balm. Now especially great as gifts with the new perfume boxes w/ great accent colors for each unique scent! Femme Fatale – the dark side of Tokyo Milk drew Susan and Beth. As always, we try to bring things to BeyondBlue that are just a bit off the beaten path, and these scents are just a bit different. 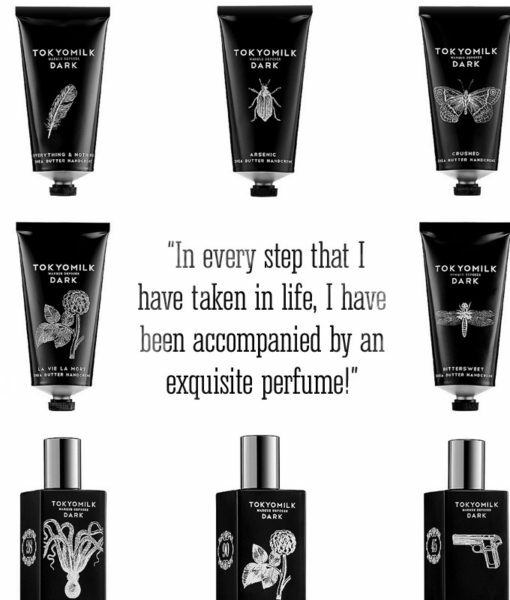 They are not your typical perfumes…each one is intoxicating and intriguing. Come in and take a whip!